Travertine Stone Care – never use any harsh cleaning chemicals on travertine tile as the stain can become worse or set on the tile. Keep the natural tiles clean, by using a dry, clean dust mop. Do not use any abrasive chemicals or a vacuum cleaner as those may stain and/or scratch the surface of the travertine Tile . StoneTech Professional Revitalizer Cleaner and Protector by DuPont is one of the suggested cleaners for Travertine Natural Stone Care. Pressure washing is sometimes needed for deep cleaning from tree and plant debris or in areas that collect a lot of water and get stained. 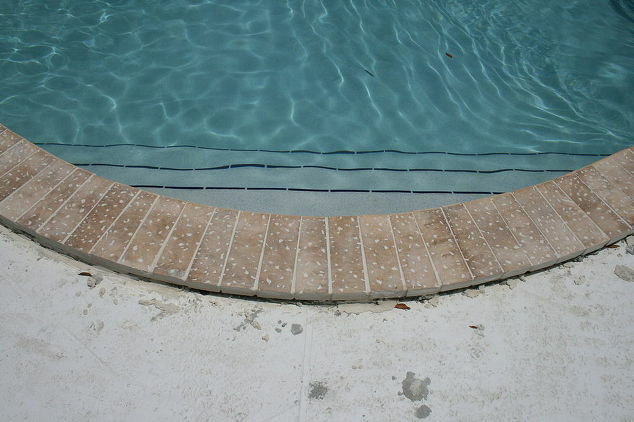 Salt water pool,require your travertine be sealed with a water-repellent salt water sealer, and it’s better if applied before installing, to ensure that the entire paver is protected and not just the surface. 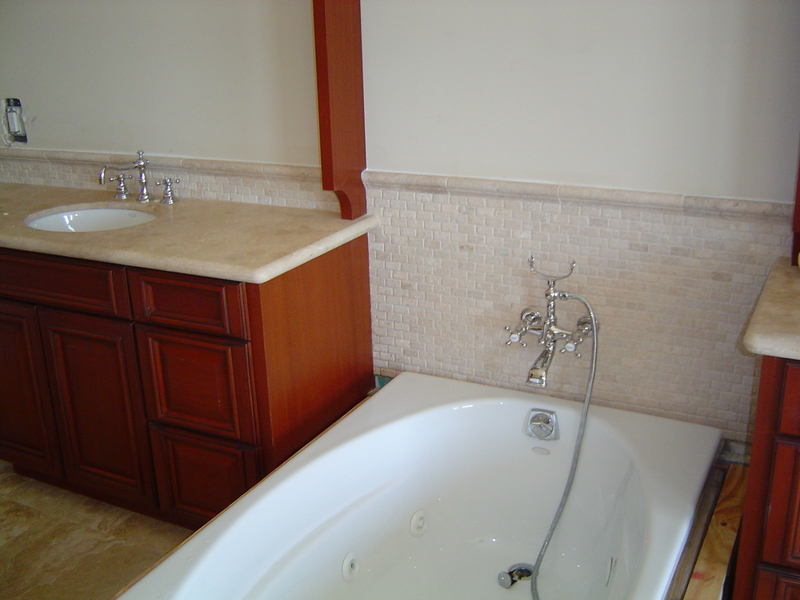 Natural stones such as travertine, marble, granite, etc. are porous materials which means they are absorbent making them prone to stains. At the same time, that characteristic also means that stains can be easily removed. When you notice a stain, clean it as soon as possible for better results. All you need to do is to “lift” the stain by using a product called Stone Pro Deep Clean Gel which is sold at retail stores. If that fails, it means that the stain is embedded in your tile. In that case, you can use Stone Pro Wet Poultice Stain Remover that is a ready-to-use paste which does not requires mixing or measuring. This is a personal choice. However, by using a sealer, your natural stone products are better protected against stains and dirt. There are several kinds of sealers in the market. 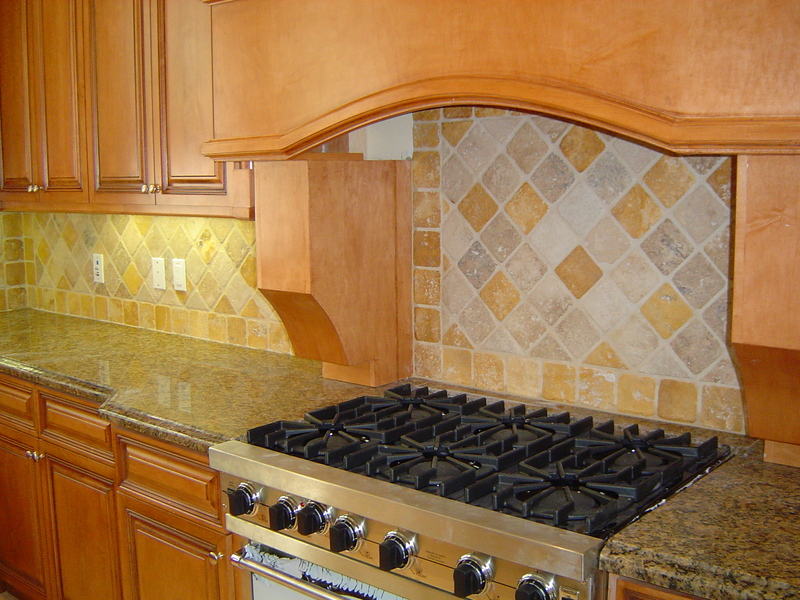 When selecting one, make sure it is the correct one for the kind of tile you purchased. The best person to help you make that decision is your installer. Make sure to ask him for recommendations. Protect outdoor stone against stains from tree and plant debris or in areas that collect a lot of water and get stained and mildew. The sealer is deep penetrating and preserving of the stone’s natural surface texture while keeping stains and mildew out. Sealer will also reduce damage that can be caused by spills from things that can stain like wine. Recommended 5 year re application of a professional sealer. It may even be yearly according to the brands manufacture instructions that you choose. If you’re a DYI person you can actually get it done for a fraction of the cost. Check our latest natural stone blogs to help you visualize yours. Lime stone is another great counter top option. It is a type of fossil stone and often has nicely preserved fossils. Fossil Stone is a dense limestone filled with various organic matter. It is a sedimentary rock with natural variation and mottling. Fossil stone has the contrast of this matter and the limestone (main stone). The limestone background makes for striking and beautiful contrast. Shells, plants, animals and other organic matter that don’t decay, harden with minerals over time and become fossilized. This process forms fossil stone which is the preserved remains of animals, plants and organisms from the past. It is said that customers consider limestone pale however, it is versatile due to its neutral color. Here at Stone Tile US we carry limestone in: Limra, Myra Beige, and Wooden Grey. Limra Limestone Tiles is one of the most preferred and used tiles for inside design. Limra is one of the whitest natural stones on the market. It is uniform in grain and color. The surface is very consistent, soft and warm to the touch. It has a thin grain and the background a very uniform. Limra Limestone Tiles can be finished in a variety of ways the most popular is polished and honed. It is preferred for masonry, stone work, and outdoor walls. The variation in color of the Limra tile consists of subtle brown dots on a light cream background. It’s a soft material and the sizes we offer in Limra Polished Limestone Tile is 24×24. Wooden Gray Polished Limestone Tiles is a grayish marble with vein cuts that give the appearance of a wood finish. There is a white background with gorgeous gray and black, in very subtle tones, making it very versatile. We offer Wooden Gray Polished Limestone Tiles in 18×36. Anatolian Fiorito Deep Brushed Limestone Tiles have a beige/cream color. The surface has a mostly uniform surface with darker dashes and specs of caramel. Anatolian Fiorito Deep Brushed Limestone Tiles are available to you from our website in two sizes 12×24, 18×36. Myra Beige Tumbled French Pattern Limestone Pavers. Myra Beige Tumbled French Pattern Limestone Pavers for pool deck, patios and more! There are other limestones on the market in various colors. Limra Limestone has a super small seed like texture. It is very porous and a sealer is to be applied before and after installation. Champagne White Limra Limestone falls in the shade family of Cream, Ivory, and White. Proper planning makes for smooth process to install Kitchen Wall Tile. Make a list, have everything assembled before getting started. Always to get at least 10% to 20% extra for breakage and trim. 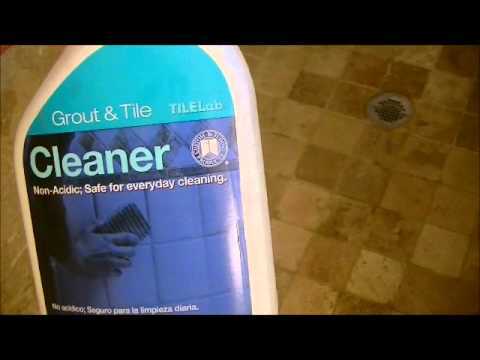 You’ll need a rubber grout float to apply the grout after the tile is set and a grout is dry. We have everything you need to accomplish a successful Pool Coping Installation project. 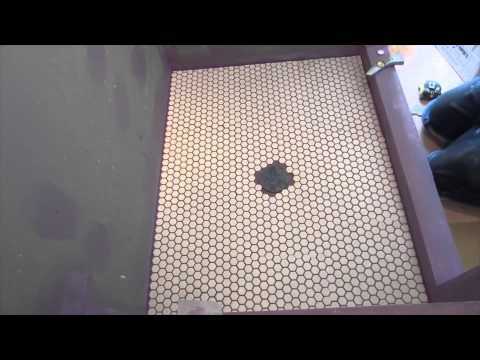 Completely refresh your space with a Bathroom Floor Installation. In addition to floors why not add a new vanity for an inexpensive professional finish! Modern Double bathroom vanities Modern Bathroom Vanities in Canada. Choose from a contemporary, wall-mount,Floating, Classic, or Antique free standing Bathroom Vanity. You have a variety of single and double bathroom vanities to meet your needs. Home Depot, Lowes, Costco, Ikea, overstock.com, Wayfair.com, Vanities Miami, and allmodern.com. Great modern bathroom vanities and sink cabinets bathroom are offered at Atlantic Vanity Source! modern bathroom vanity needs with ample storage for all your everyday needs. We carry a wide variety of mosaic tiles great for tiling bathroom wall, floors and so much more. French Pattern pavers is an interlocked mix of different size tiles laid out in a mosaic style format. Travertine French Pattern gives a beautiful old world look of class and stateliness. The travertine French Pattern set covers an area of eight square feet. Stone Tile Us Pavers standard thickness is 1.25 inch. Pavers can also be 2 inches thick or more. Travertine tile is 0.5 inches thick. DRIVEWAYS: French Pattern Pavers are not meant to be install on a driveway, because the big pieces may crack. Tumbled, Honed & Filled and Brushed & Chiseled. Gold Tumbled, Peach Blend, Roma, Silver, Noce, Super Light, Toscana & Leonardo. French Pattern pavers is now very popular on exterior design , pavers can be use in cold and warm weathers. Travertine pavers will increase your property value. If you are contractor on a interior designer , please contact us directly , you may qualify for wholesale pricing. You may send us a free sample paver request to experience the beauty of the natural stone. SIZES AND FINISHES: French Pattern Pavers comes in different sizes and finishes, ready to be use at your pool deck or patio. Shower Tile In addition to floors your bathroom could always use a new vanity for an inexpensive face lift! Modern Double bathroom vanities come in: contemporary, wall-mount,Floating, Classic, Antique or a modern free standing Bathroom Vanity. You have a variety of double bathroom vanities to meet your needs. A wide variety of bathroom vanities are available in these Canadian locations: Home Depot, Lowes, Costco, Ikea, overstock.com, Wayfair.com, Vanities Miami, and allmodern.com. Great modern bathroom vanities and sink cabinets bathroom are offered at Atlantic Vanity Source! Visit our Facebook page for updates. Atlantic Vanity Source can supply your modern bathroom vanity needs with ample storage for all your everyday needs. It is the anchor for your sink and mirror. Stone Tile Us pavers are available in Marble and Travertine with finishes: tumbled, honed and filled. The finish on these stones are good for traction of vehicles and walking. 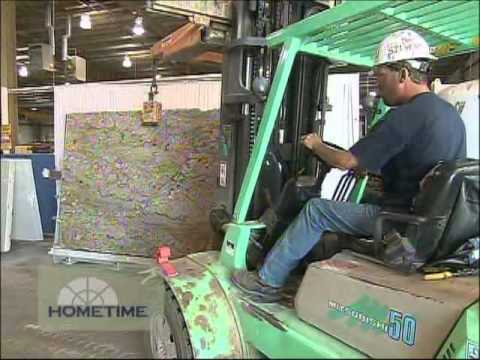 The dense, hard material of travertine pavers makes them good for driveways, patios, pool and decks. 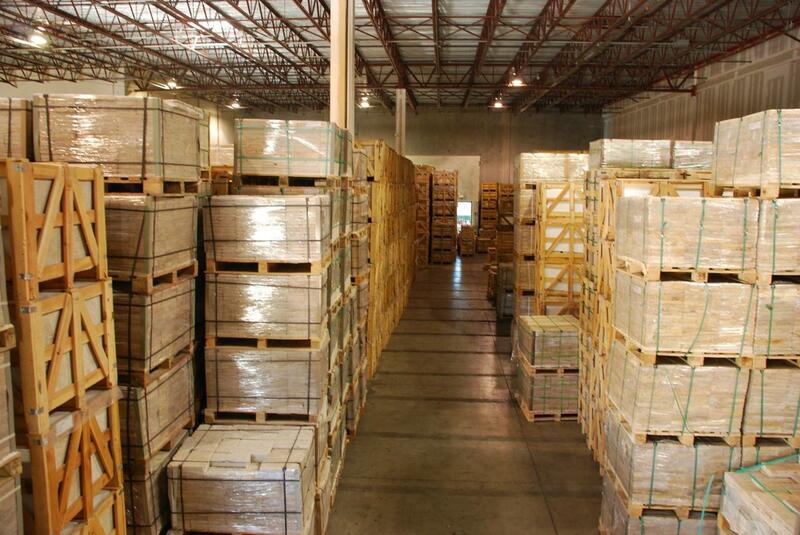 They are resistant to moisture, cold, heat and erosion. There is no heat retention and its surface remains cool to the touch. We offer a good variety of colors and sizes to blend with your outdoor design. Travertine pavers are durable, however, they are breakable so it’s important to properly prepare the surface. Pavers sized 6×12 are best for driveway to prevent cracking from the pressure of vehicles. Larger sizes, and French Pattern, are good for outdoor, deck and pool areas but not recommended for driveway use. Is highly recommended it is easy to lay and replace if needed and is the best option for cold weather. Add 6” to 8” crushed limestone (sharp edges assist a snug fit) allows for good drainage. Start from the edge of the driveway and work your way inwards. 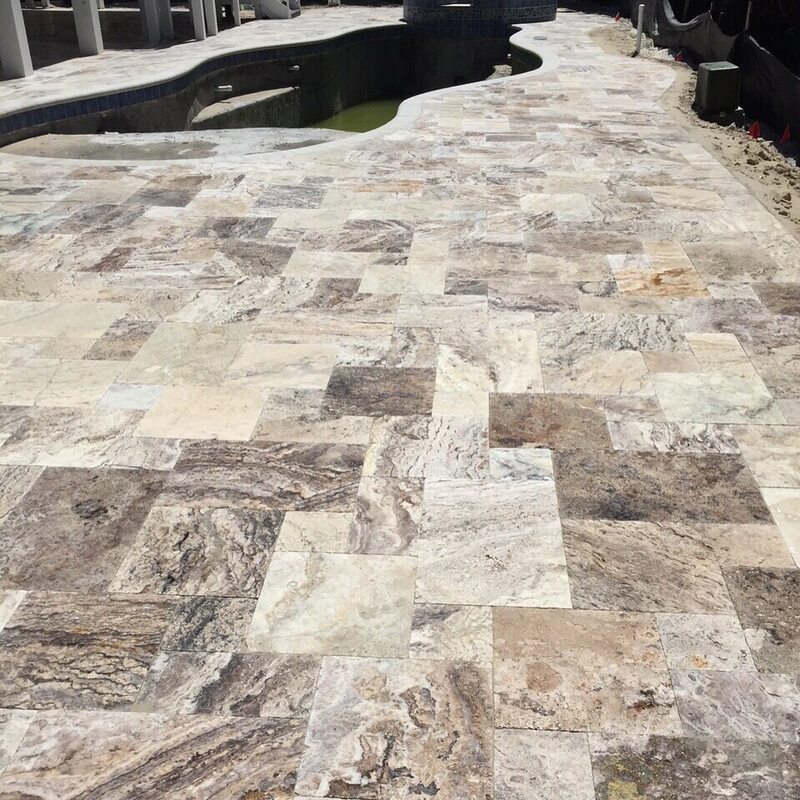 Flexbond is recommended for cold weather mud set travertine paver installation that will be mud-set on top of a concrete surface. It allows contraction and expansion during the extreme cold weather cycle as will as prevent cracking. Excavate the area and compact the soil. Crushed limestone is a sure foundation, and will help the pavers stay in proper position while allowing proper drainage. Add 1” to 2” of concrete sand over crushed limestone. Lay pavers starting from the edge of the driveway and work your way in (use something like a concrete slab, to hold pavers in position during installation). Pavers should be placed in a fitted pattern for good snug fit. Fill the joints in with polymeric sand (usually a mix of sand & special additives that are used for filling paving stone joints). Tumbled finish, has textured, porous finish that is skid-resistant. Honed is a smoother finish than tumbled but still has needed traction when wet. Pattern repeats after the first square ends (tiles are 16″ by 24″, 16″ by 16″, 16″ by 8″ & 8″by 8″ pavers and is set to cover 16 sq. ft. area. You should place tiles close together and you should fill the joints with sand). When pavers are set, check for level, go over the area with a plate compactor again.